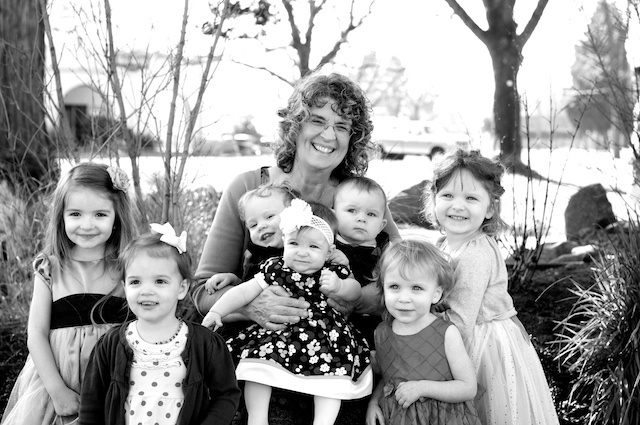 Here are some of the best rewards for all our years of diapers, bandaging, feeding, car-seat buckling, chauffeuring, school planning and teaching, paper-correcting, arbitrating, Dr.-Seuss-reading, shoe-finding, potty-training, and general exhaustion. Grandchildren! Seven and counting! We finally got a picture wheneveryone was awake and happy! What a joy to hear them talking about Jesus and singing the psalms already! Don’t give up! Stay faithful, pray for strength and wisdom, and point your children to Jesus! It is oh-so-worth-it!